We selected four sizes for all configurations of interior design in an exhibition. For 65 years Picto is a reference for image professionals. Photographic laboratory founded in 1950 by Pierre Gassmann, a humanist personality and a friend of the great photographers of his time, Picto is a specialist in the graphic chain, combining craftsmanship and new technologies. The lab accompanies photographers, museums, institutions and galleries for the drawings of their exhibitions, brings to the actors of the advertising and luxury industry its know-how of retouching and visual communication, and offers online access to its Qualitative services with Picto Online. Picto has become the leading photographic laboratory in its sector in France and now opens up to the international market with an office in New York which initially concentrates its activity on Luxury, Fashion and Beauty advertisers . Picto Foundation is the latest initiative of a company committed to image. It supports photographers with the support of prizes, festivals and the sharing of its know-how with schools of photography and visual art. THE OPTIMIZED THERMAL SUBLIMATION FOR PHOTOGRAPHIC DRAWING. Dye sublimation is a process developed for several decades, used especially in the textile industry, and also implemented in some photo printers. Thanks to recent research and development efforts, this technique is finally compatible with the very high requirements imposed by high-quality photographic reproduction on rigid, highly resistant substrates such as aluminum or MDF panels. 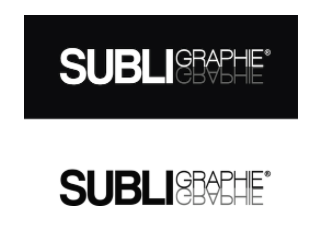 The Subligraphie® certification now guarantees faithful colorimetry, perfect reproducibility from print to print, and unmatched durability. For the first time perhaps in the world of photographic reproduction, Subligraphie® guarantees both a very high image definition, a wide range of vibrant colors, unprecedented effects of matter and depth, and Exceptional resistance to aggressions. This is the most important choice for the conservation of your photography. We recommend you to laminate the print on a rigid surface to avoid deformation over time. To help you in your choice, we selected four finishes that we offer. Gluing on a Dibond 2 mm (the Dibond is a composite material. It has a sandwich structure in which two aluminum plates are thermally bonded to a central plate of solid polyethylene. The Dibond is lighter than aluminum, but it was designed so as to keep its rigidity and flatness. It is corrosion-resistant, rot-proof, corrosion resistant, and UV). This is the more efficient option in terms of stiffness, weight and finish. It has an oxidation-preventing coating. An aluminum chassis returning 5cm stuck turning back and back to stiffen the structure and get a draw that seems to float above the wall. Your work is ready to hang. 2- Laminating between 2 revolving frame with plexiglass aluminum. Our Choice : Protection and enhancement of your photography. Your drawing is stuck between 2 of 3mm plexiglass plates which provides the best protection, the edges are then polished. Your photo takes the luster and depth, the colors become vivid. The treatment of acrylic plate prevents UV damage to the display. You can clean the print with a soft micro-fiber dust cloth. Your work is ready to hang up. Our favorite: the process used for exhibitions. The drawing is stuck on a 2 mm Dibond (the Dibond is a composite material. It has a sandwich structure in which two aluminum plates are thermally bonded to a central plate of solid polyethylene. The Dibond is lighter than aluminum, but was designed so as to keep its rigidity and flatness. it is corrosion-resistant, rot-proof, corrosion resistant, and UV). Then your draw is placed in a wooden frame custom built without overhang, it is somewhat outside the framework to protect the draw. The feeling that the photograph fleet within gives him an exceptional dimension. A 15/40 frame allows the back hanging in your home. This frame is available in natural wood, Wenge or Black. You reasonably choice priced quality supervision. The print is then placed in a wooden frame in wood color Natural, Wenge, or Black of 30/20mm for the prints 40x60cm ; 60x90cm and 50/25mm for the prints 100x150cm ; 120x180cm. 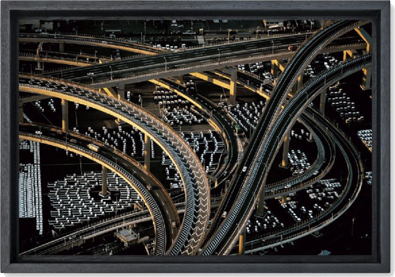 For special applications, we have a whole range of custom framing to enhance your photography. Do not hesitate to contact us, our sales team will be happy to make you our best offer.